Dzikawa is an artist based out of Russia. Excelling in both traditional and digital mediums, Dzikawa’s digital reach extends into the world of Twitch where her stream and archived clips have hundreds of thousands of views. Specializing in rendering popular pop culture and video game characters with her signature style, Dzikawa’s work brings a fresh perspective to many of your favs. Looking through Dzikawa’s portfolio on doodleaddicts is an absolute treat and provides the perfect lens into what makes this artist pop. Much of her work centers around beloved characters from the world of gaming. For the purpose of this review, I’m going to focus on the more mainstream characters she has illustrated, my favorite being, Wolverine. Across all of her pieces, regardless of the subject, is an abiding Eastern influence. You can feel a love of Japanese style illustration in almost every one of Dzikawa’s works, one exception being her rendering of Norman Reedus from The Walking Dead. This influence can certainly be felt in her illustration of Wolverine. The angles of jaw lines and musculature remind me of cut scenes from Final Fantasy. Dzikawa’s version of Wolverine comes out feeling like a mashup of the Hugh Jackman cinematic version of the character and the less cartoonish takes on him from the comics. He’s featured in his signature white sleeveless shirt, dog tags gleaming against his chest as he’s backlit in a swirl of rain. His face is set, grim, determined through the torrential storm. The storm against the backlighting and the dog tags show off an element Dzikawa excels at and highlights in many of her pieces, lighting. Her use of shadows, flares, distortion, reflection, all of it is expert level whoa. And luckily, if you’re interested in how she performs her magic, Dzikawa’s Twitch stream can show you each and every one of her tricks. What drew you to your current art style? I've always wanted to create something special and I continue studying to become a better artist. In my free time I practice by copying arts by other great artists and then I try to bring that knowledge to my own pieces. One of the things that draw us to your art, is how you have mastered your coloring skills. How long did it take you to perfect coloring? I've been doing digital art since 2015 and I'm still in the process of research on how to color and compose. What are some challenges you faced when you got started in your art career? How did you over come them? Oh, it was and still is difficult. Most challenges for me are technical. For example, using Photoshop for the first time was like a torture! I didn't understand what layers are and how to use them. How do i change canvas properties? Where do i get brushes? How do I do this and that? Step by step I got used to Photoshop and learned how to work with layers and filters. As I said, I’ve copied a lot and that really helped. When you are "stuck" in your creative process, what do you use to get you out of the funk? Search for inspiration. It could be anything like music, movies, other artists and streamers on Twitch! Always a good company there. Artists are always having trouble marketing themselves and their art. What are some tips you can give our readers in how they can promote themselves. Don't miss any opportunity. Start a YouTube channel with tutorials or timelapses of your art or even casual vlogs talking about art stuff, just any type of content you'd like to share. Upload your art to art related websites. And do it regularly. Also streaming really helped finding new audience and friends. I believe consistency is the key. What are some of your favorite tools you use when creating your art? What do you like about them? What is a basic and advanced tip you'd have for someone who wants to improve their drawing and coloring skills? Never give up. And make a lot of copies.This is what really helps me. Study everyday and you'll definitely improve. You have a great Twitch channel where you draw live! How did you get started? What do you like/dislike about it? I have been streaming on Twitch since 2015 everyday except Mondays. People come and hang out together and draw with my stream opened in the background. I really love my small community. The only thing I’m a little bit sad about is that you're not allowed to listen to copyrighted music (so most of the music, obviously), but what can you do, right? 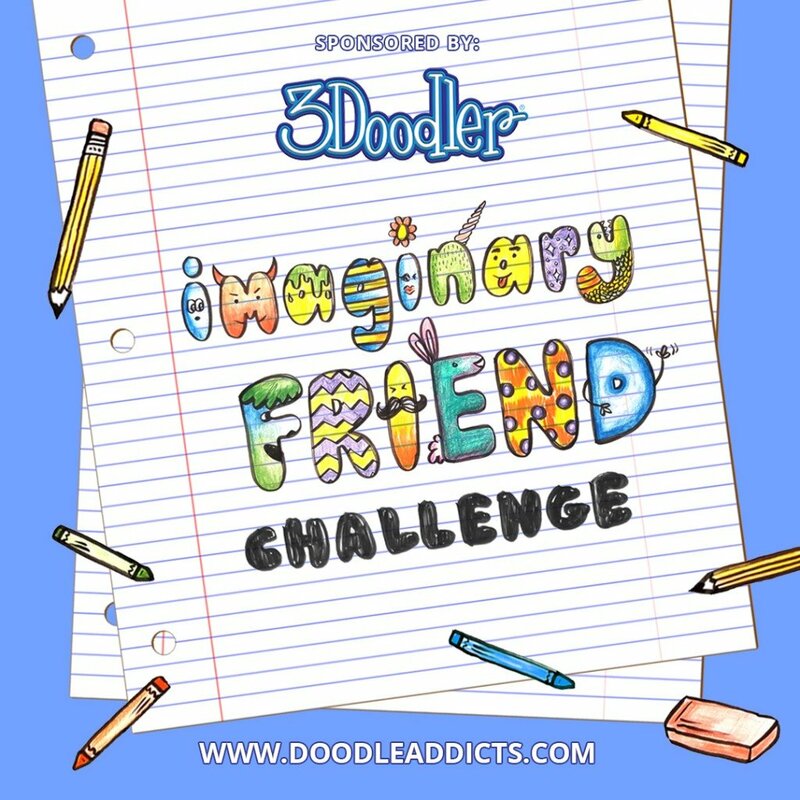 Which artists on Doodle Addicts do you recommend everyone follow? Oh, there are lots of them! I really like Winny Sumbada, Stacey Walker Oldham, and Priscilla Alvarado. Very nice and cute illustrations!